7x13 - Papa's Goods - Quinn, Ratboy, Jax and Montez. 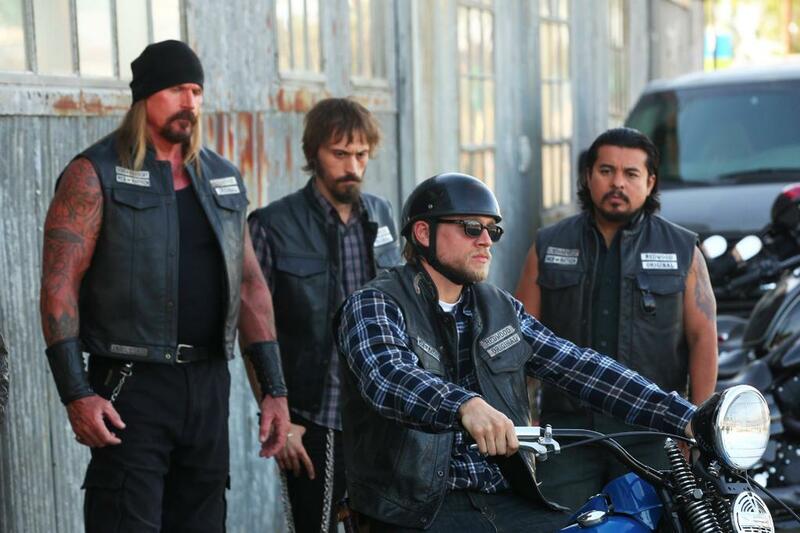 Rusty Coones as Quinn, Niko Nicotera as Ratboy, Charlie Hunnam as Jax and Jacob Vargas as Montez in Papa's Goods (7x13). HD Wallpaper and background images in the Sons Of Anarchy club tagged: photo sons of anarchy still season 7 2014 7x13 series finale papa's goods rusty coones niko nicotera charlie hunnam jacob vargas quinn ratboy jax montez. This Sons Of Anarchy photo might contain street, city scene, urban setting, green beret, special forces, and elite soldier.